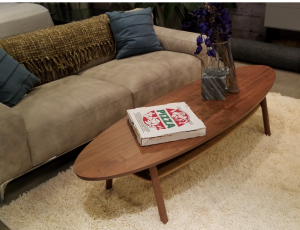 Description: 4.5′ long surfboard shaped coffee table Mid-Century Modern inspired. 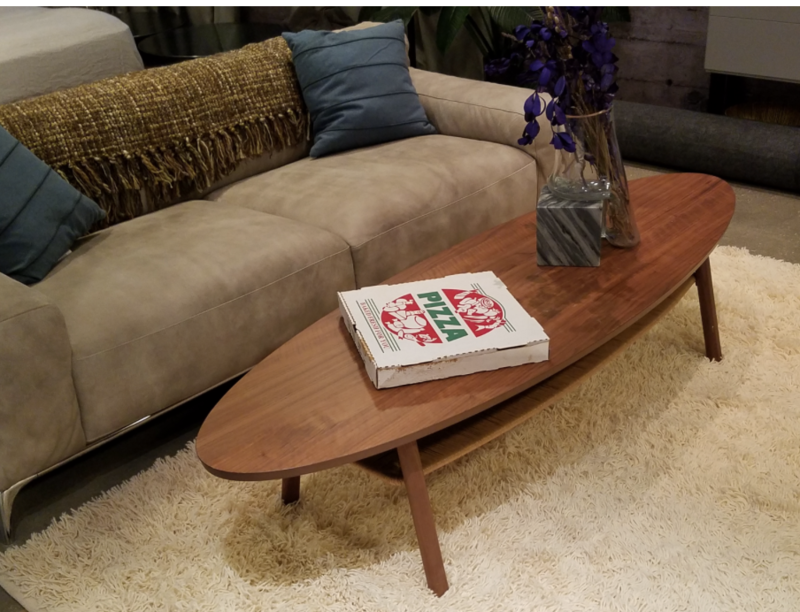 Rug, ND pizza box,throw, and decorative pillows also available . 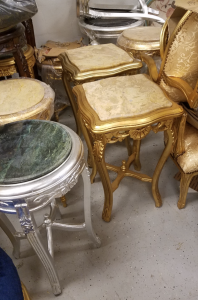 Description: We have (4) barrel tops. 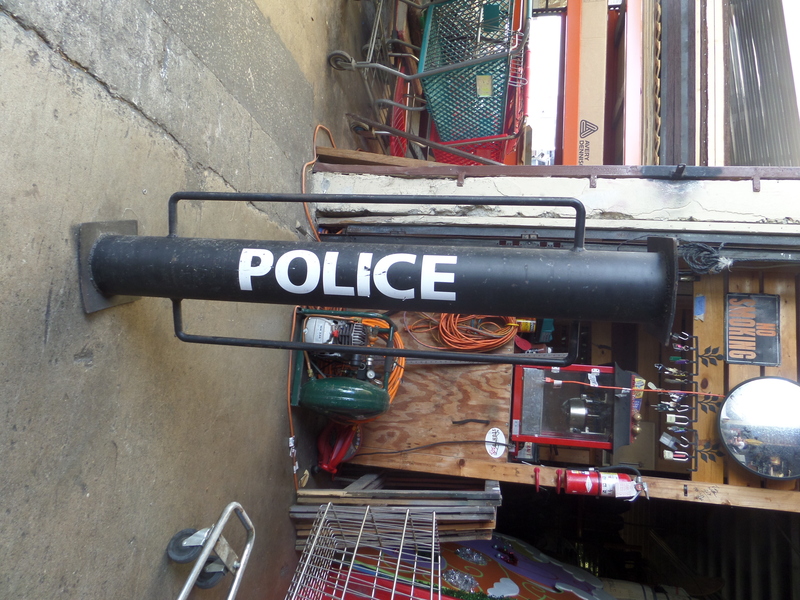 They measure 30″ across. 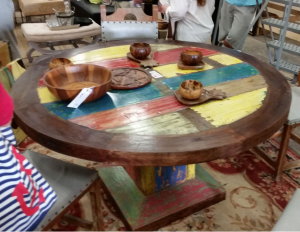 Gives that nice distressed look. 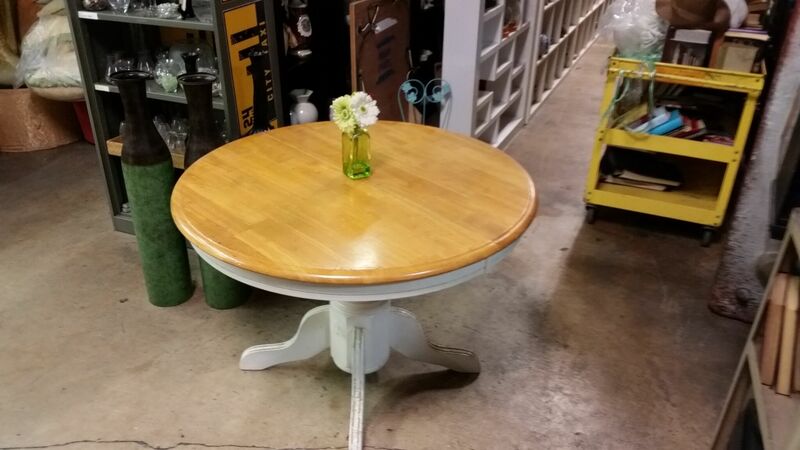 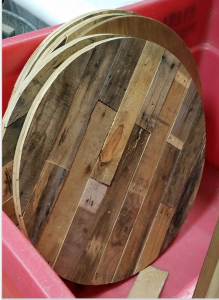 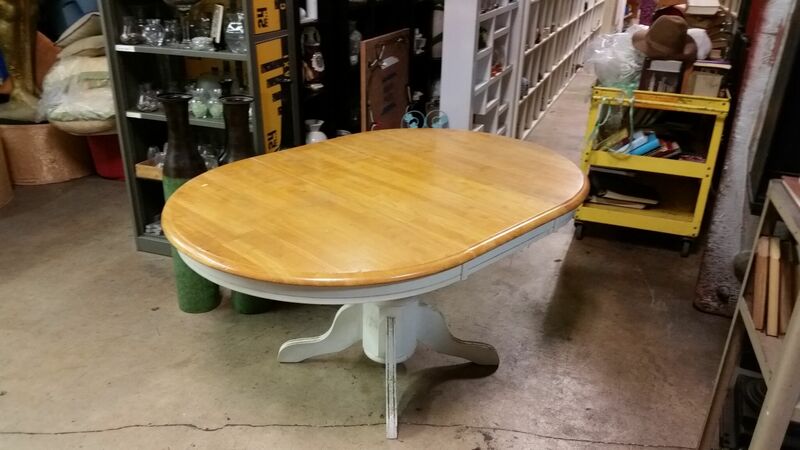 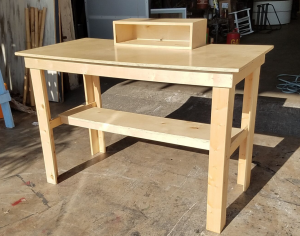 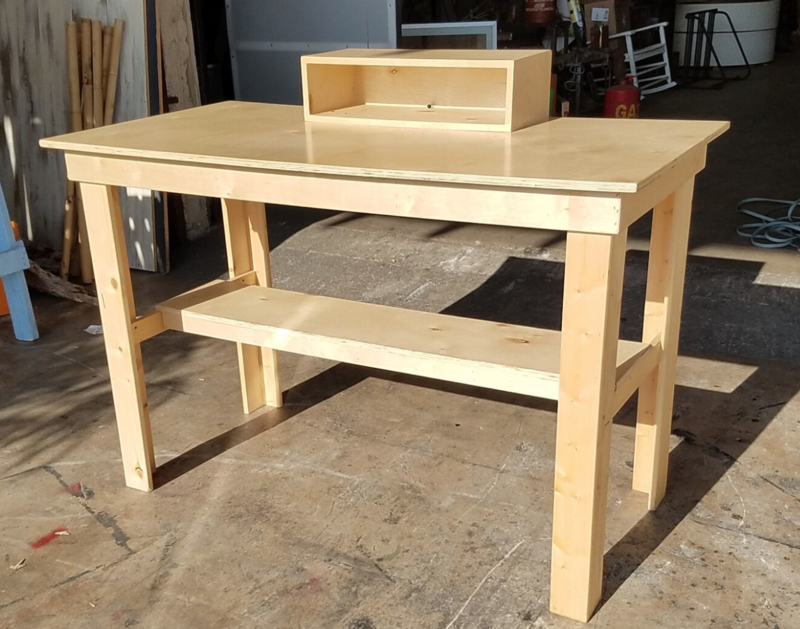 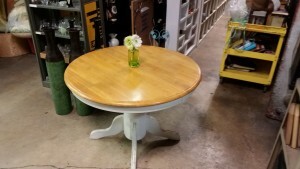 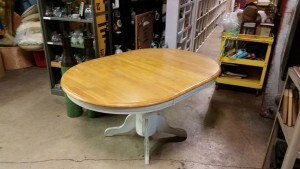 Description: Here is a butcher block round table..can also use the extra “leaf” to make longer / bigger….without leaf it is 44″ inches across. 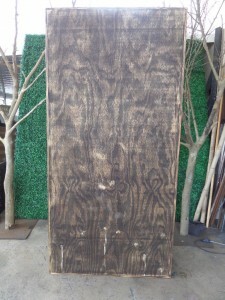 Description: This 5′ table has a mahogany ring of dark wood around the outside and bright colors on the interior. 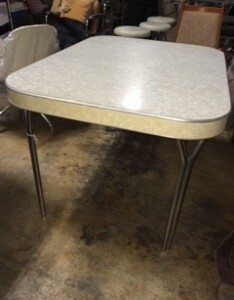 Description: Vintage formica table. 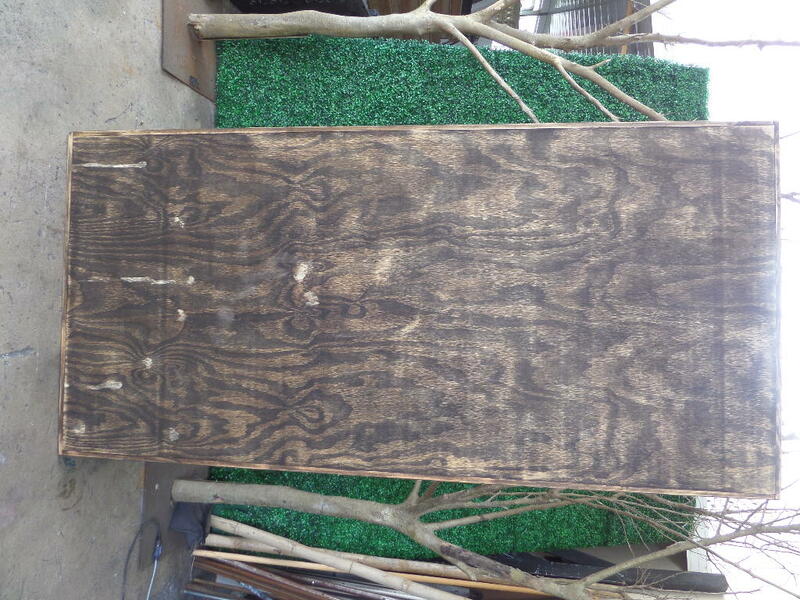 Marble pattern. 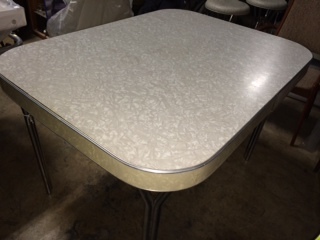 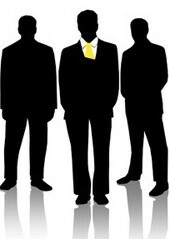 Square with rounded edges. Description: Black walnut wood console. 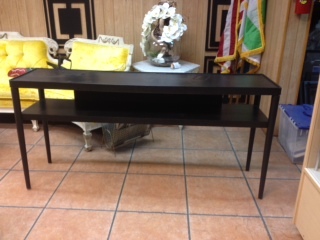 Single shelf tapered leg. 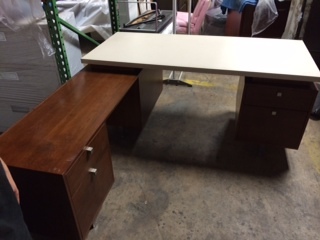 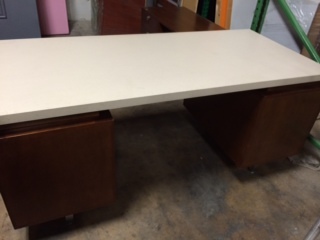 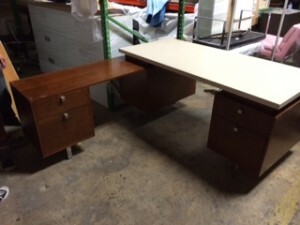 Description: Mid Century modern corner desk set with wood and white acrylic.